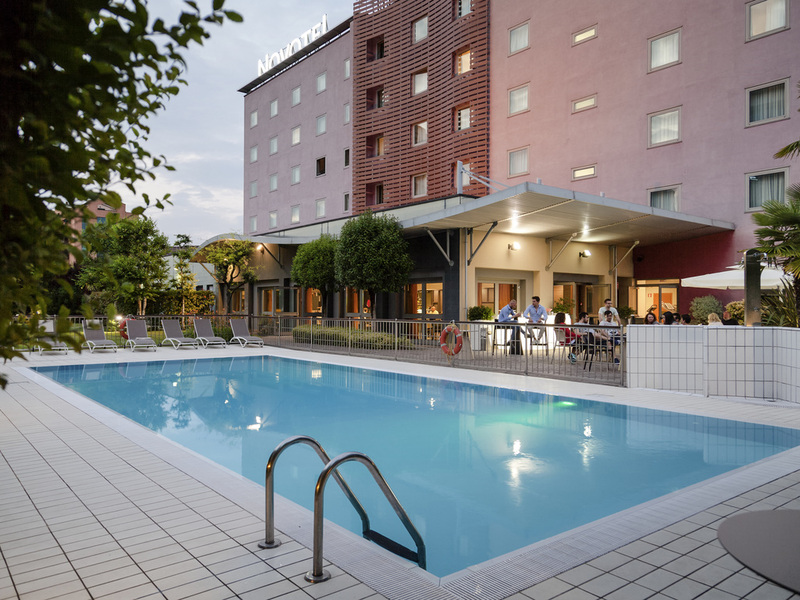 The Novotel Brescia 2 hotel is a fully renovated 4-star hotel in the heart of the city's financial district. Perfect for business trips, with excellent links to the city center and the train station, it is conveniently located 547 yards (500 m) from the metro and close to the highway and Bergamo Orio al Serio, Verona and Brescia Montichiari airports. It is also the perfect base to discover the beautiful nearby lakes of Garda and Iseo or the rolling hills of Franciacorta. It's a lot better at Novotel! Fiber optic technology provides top-speed Internet connectivity. The Superior room combines modern furnishings, ergonomic design and technology: air conditioning, USB port, WIFI, minibar, 48" TV with SKY on request for a fee and safe. Up to 2 adults and 2 children. All Executive rooms offer additional services: 55-inch TV with SKY (Movies, Soccer, Sports), coffee machine, extra toiletries, bathrobe and slippers, complimentary local calls and mineral water in your room on arrival. Up to 2 adults and 2 children.